Concussions are a frequent occurrence in athletic endeavors, its rate exceeding that occurring in the general population by 50 fold. The biomechanics and pathophysiology of concussion are still not well understood and may lead to potential significant sequelae from single or more commonly multiple concussions. Postconcussive symptoms, the second impact syndrome and the cumulative effects of concussions are all topics of interest in current concussion research in athletes and are leading to a more rational approach in determining policy aimed at returning athletes to their sport after a concussion. 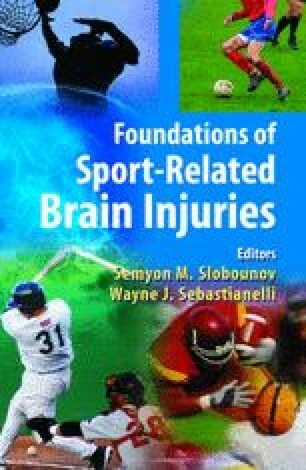 This chapter reviews current knowledge on the mechanisms, pathophysiology and sequelae of concussion in athletes.